The new Hobie Eclipse 10.5 & 12.0 have already created a storm in the watersports industry, a revolutionary product which is hugely versatile and sure to be great fun on the water. The Eclipse is Incredibly stable, just get on and go using MirageDrive leg power and soon you’ll fly high at exceptional speed, nimbly carving turns using fingertip steering controls. 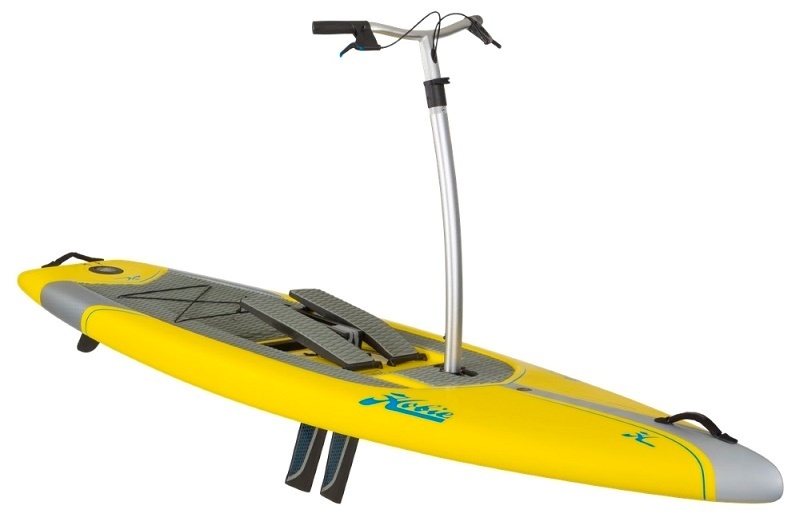 There’s minimal setup; go from the car, the dock or your boat to the water in minutes. 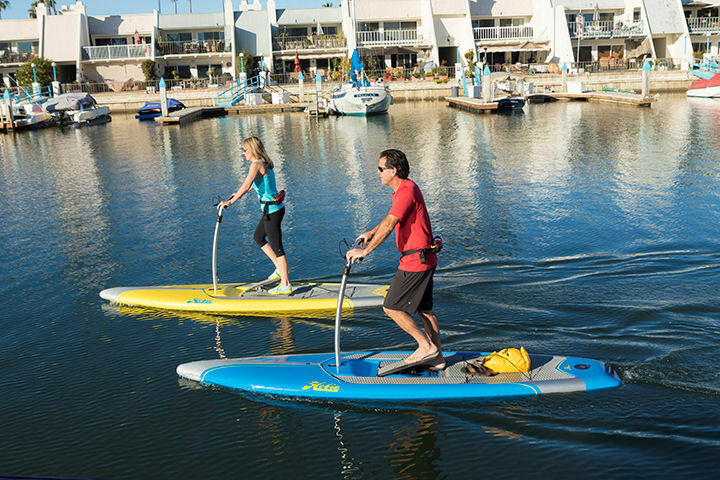 The Mirage Eclipse takes fitness out of the gym and onto the water and under the sun. 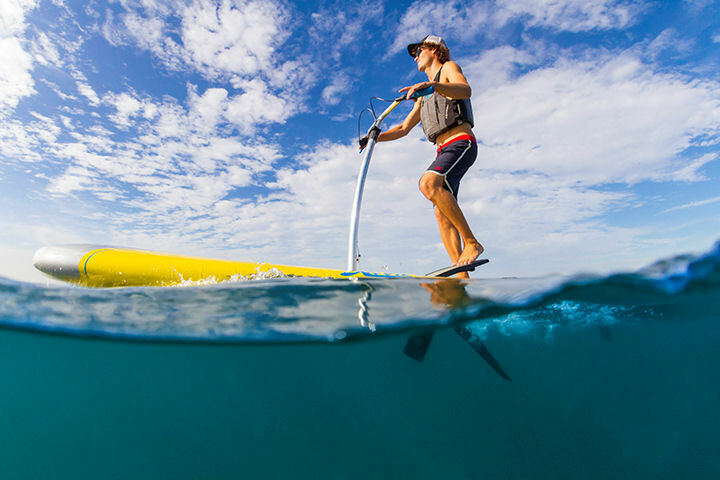 The board is lightweight and durable and full of thoughtful features such as gear tie-downs and a carefree kick-up rudder. The Mirage Eclipse takes standup to a whole new level. 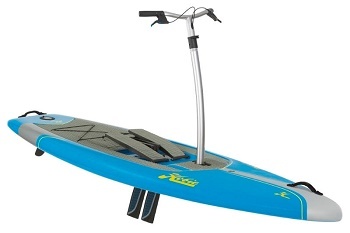 We are unable to ship the Hobie Eclipse Paddle board by courier as they are liable to be damaged. We can make them available for collection from one of our other branches or alternatively if you are near to one of our branches, we may be able to deliver it with our own van. Please get in contact if you would like a price for local delivery. If you are local to our shop in Hamworthy, Poole then we may be able to deliver a Hobie Eclipse with one of our own vehicles. For boats, this is free to most BH Postcodes - please call us on 01202 625256 to discuss your requirements. Buy a Hobie Eclipse online from our website and collect from our shop in Hamworthy, Poole or you can collect from any branch within the Canoe Shops Group. There is no cost associated with instore collection.